Nintendo has finally announced the newest games in the perennial Pokemon series, confirming yesterday’s rumors. This announcement comes only one day before the official twentieth anniversary. The details regarding Sun and Moon are certainly lacking. The teaser trailer elucidates precious little. The tentative release window (Holiday 2016), a few snippets of concept art and the titles of the new Pokemon pair are all we have to go on at the moment. According to Pokemon’s website, Sun and Moon will be the first games that allow the player to choose from nine different languages, including Traditional and Simplified Chinese. No word on the new region or version-specific legendaries as of yet. Games we can also expect from The Pokemon Company this year: the arcade-style brawler Pokken Tournament on Wii U, the digital re-releases of the original Pokemon Red, Blue and Yellow on the 3DS, and the augmented-reality Pokemon Go for iOS and Android devices. 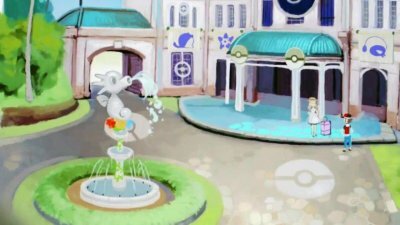 For fans looking to celebrate the Sun and Moon’s unveiling (and Pokemon’s official twentieth anniversary), and happen to be in the Los Angeles area, a little soiree is planned in order to christen the new Pokemon Boutique arriving at Japan LA. Thanks for reading! What do you think about the teaser trailer of Pokemon Sun and Moon? Tell me in the comments!